“Close your eyes and tap your heels together three times and think to yourself, ‘There’s no place like home. There’s no place like home. There’s no place like … ” Orphan Andy’s in the Castro! That is where Dorothy and her enchanted ruby slippers might very well have landed once The Wizard of Oz credits finished. After all, the San Francisco landmark destination is open 24/7, offers soul-satiating fare, smart and sassy service, courage to skittish newcomers and more sparkle than Glinda the Good Witch’s hand-laid Adrian crystal gown. The wizards behind Orphan Andy’s homespun magic are Dennis Ziebell and Bill Pung, who are married partners in addition to being co-owners of the restaurant at 3991 17th Street. 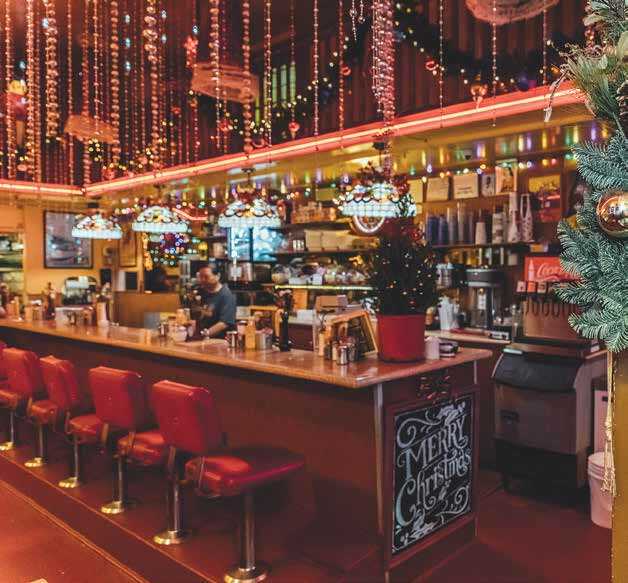 The 50s-style diner, with its inviting counter, roomy red leatherette booths and over-the-top creative queer décor, is truly a home away from home—or a destination that is even better than home—for numerous regulars. In the morning, savory 3-egg omelets, French toast (including stuffed with spiced apples and cream cheese), hotcakes (with added banana and chocolate chip versions), steak & eggs and several other delicious breakfast items are the stars of the show. There is also bottomless coffee poured by attentive, friendly staff, whom you will soon know on a first name basis after a few visits. Lunch sees plenty of patty melts, giant salads, homemade soups, Orphan Andy’s chili (don’t forget the cheese and chopped onion), and mouth-watering sandwiches like BBQ pork, Philly cheesesteaks and French dip. Dinner might be fish & chips, a NY steak, chicken-fried steak with country gravy, or one of the specials on offer. Those who save room for dessert may be rewarded with Orphan Andy’s double fudge brownies, Bailey’s Irish cream cheesecake, frosty malts, Hawaiian wedding cake, ice cream sundaes, or … OK, we have to take a break and make an Orphan Andy’s run now, as we are getting hungry here! As day turns into night, Orphan Andy’s takes on a warm and welcoming glow for passersby, who might hear songs like “We Are Family,” “Rock This Town” and “Respect” coming from a retro jukeboxe when the door swings open. It is little wonder that first dates happen here, along with marriage proposals, anniversaries and birthday celebrations—or even just everyday celebrations, where locals can feel grateful for having such a reliably cozy spot. Orphan Andy’s reflects the longstanding bond shared by Ziebell and Pung, who live upstairs. Each handsome and easygoing fellow beams when speaking of the other. The 46-year-old restaurant is like an extension of their loving home, with the entire community and visitors welcome. For locals, to paraphrase Dorothy, there is no reason to go looking for your heart’s desire outside of the Castro. Home is right here, at Orphan Andy’s. We recently caught up with Ziebell, who shared more about this neighborhood favorite. 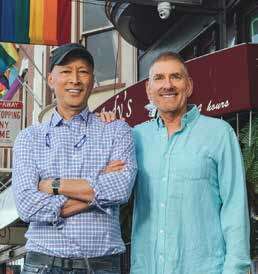 San Francisco Bay Times: Those of us who were around the Castro in the 1970s fondly recall Andy’s Donuts, a 24-hour diner formerly at 460 Castro Street (now Osaka Sushi) frequented by Harvey Milk and many other greats. Is it true that you became the owner of Andy’s Donuts when you were just 21? How did that come about? Dennis Ziebell: I was 22 when I bought Andy’s Donuts in October of 1972. I had started as clean-up boy and then donut maker/baker in March of that year. I had worked in bakeries during my high school years in Nebraska. I originally hitchhiked to San Francisco in the fall of 1971 and lived on the streets and in the then abandoned old Ace High Hotel on 6th Street between Mission and Howard for several months before finding a place to stay. San Francisco Bay Times: Did Andy’s Donuts inspire Orphan Andy’s, given the similar name and 24-hour concept? And who was “Andy”? Dennis Ziebell: Andy McDougal was the original owner of Andy Donuts for many years. When I sold Andy’s Donuts in the spring of 1975, I then bought the Boot Camp Bar in the fall of 1975. In 1977, I also bought my favorite café—the “Five Corners Café”—which I renamed Orphan Andy’s in 1977 because I was orphaned at birth, and also because I wanted to continue the same menu and 24/7 classic diner format that had been at Andy’s Donuts. San Francisco Bay Times: We’ve read that you met Bill when he stopped in for a beer at Boot Camp Bar. What do you remember about that fateful night, and what year was that? Dennis Ziebell: That was in the spring of 1976. I was working that day and Bill was sitting at the bar and we were introduced by the bartender. 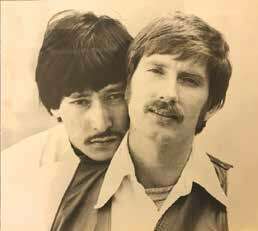 It was love at first sight and we moved in together a couple of months later and Bill became partner in the restaurant 1978. San Francisco Bay Times: What are some of the unique pros and cons of operating a 24-hour restaurant? Please share some memorable anecdotes from your time at Orphan Andy’s. Dennis Ziebell: Pros: the love of being in the business is its own reward. Plus, being in the Castro and San Francisco and both of us living and working in the neighborhood for all these 46 years. Plus having amazing employees and customers makes it easier to get through the tough times. Cons: none really, but challenges—yes. Meeting the challenges of being in business or any profession, and learning from one’s mistakes are what rewards are made of. We are forever grateful for the support of the community that has allowed us to thrive for all these years. 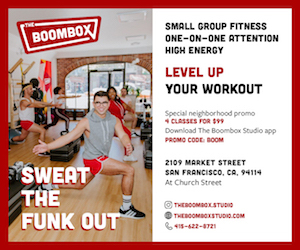 San Francisco Bay Times: How does the vibe at the restaurant change throughout the day? Dennis Ziebell: Mornings and afternoons are people working, living in the area, tourists, etc. The after-hours are mostly from the bars and clubs here in the Castro and other parts of San Francisco. The volume on the jukebox definitely goes up at night for the party crowd, but the vibe and atmosphere are fun and lively all day. 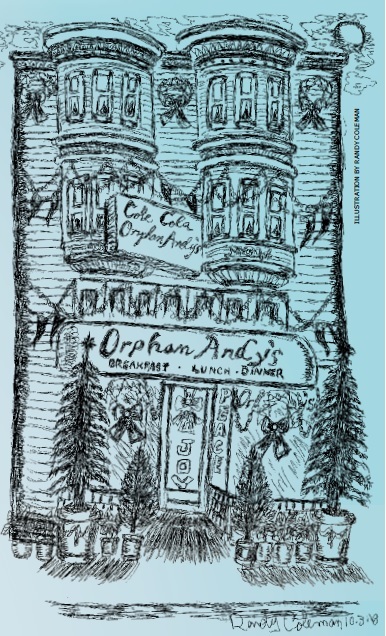 San Francisco Bay Times: Please name some of your own favorite dishes served now at Orphan Andy’s. Dennis Ziebell: Chicken fried steak with country sausage gravy, pancakes, Angus burgers and the barbecued pork sandwich. And I especially love my Mother Ziebell’s original Hawaiian wedding cake recipe. Oftentimes, we just like to have the house made soups or chili for a light meal. San Francisco Bay Times: The restaurant is always a great stand-out in the Castro, but especially during the holidays. Who does the decorating for you, and what are some of your favorite decorations this year? Dennis Ziebell: Bill is the talented one and does all of the decorating. This year, Bill has some new snowflakes in the windows and toy soldiers on the balcony. San Francisco Bay Times: In your opinion, how has the neighborhood changed, for better and for worse, over the past 4 decades-plus? Dennis Ziebell: We have all built on the shoulders of those who have gone before, and at the same time, continue to fight for the right and brought change for the better to this neighborhood and the City. I suppose it is a matter of perspective of what is worse or better, but in the long run, I think we have an amazing community and City leadership that lead to innovative thinking for getting things done and finding new solutions to some of our most important problems in the Castro and San Francisco. San Francisco Bay Times: Is Orphan Andy’s a legacy business? We checked the registry, and didn’t find you all there. Are you under consideration for legacy status? And please mention any other goals/plans that you have, looking ahead to 2019. 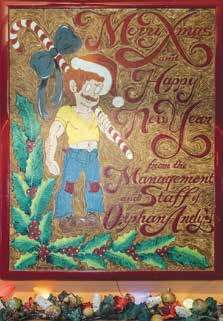 Dennis Ziebell: We are working on the Legacy designation and hope that 2019 will be another great year, thanks to our wonderful employees and customers who are the heart and soul of Orphan Andy’s! Managing any restaurant poses challenges, but those are magnified all the more when service is 24/7 nearly every day of the year. Dennis Ziebell, Bill Pung and their team at Orphan Andy’s, after 46 years of successful operation, are masters of the art. A key is strategic down time for serious cleaning and other maintenance. Note that Orphan Andy’s closes every Monday from 4 am–6 am, on a Tuesday from about 4 am–5 pm every 3 months (for a complete steam cleaning, painting touch-ups and more), at 12:30 pm on Thanksgiving and at 1 pm on Christmas Eve. The restaurant is closed on Christmas Day. Most of the rare closures allow for repairs and other maintenance that are trickier to complete when diners are present. On any given day, however, the staff are constantly working to keep Orphan Andy’s in tip top shape. Thanks to these efforts, the restaurant—like the drawing of “Andy” on the laminated menu cover—is able to retain its good looks and youthful retro charm.